When you say Paris you probably think of it as the perfect city for lovers or to visit with your significant other. But what happens when your love story has continued on and now you’ve got children? 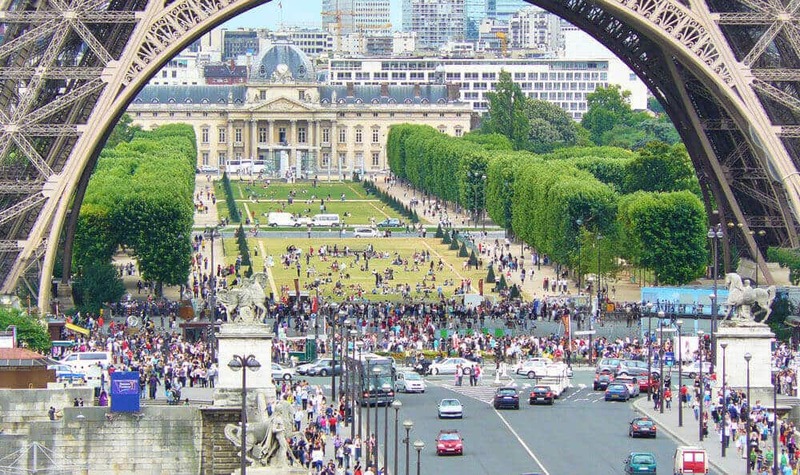 Is Paris an interesting place for kids if you’re traveling there? Of course, it is! There are tons of kid-friendly activities in Paris that you will also enjoy. So, if you’re planning a trip to the City of Lights with your children, don’t forget to add these places to your itinerary. Having picnics in parks around Paris is a true way to feel like a local and kids will love it! 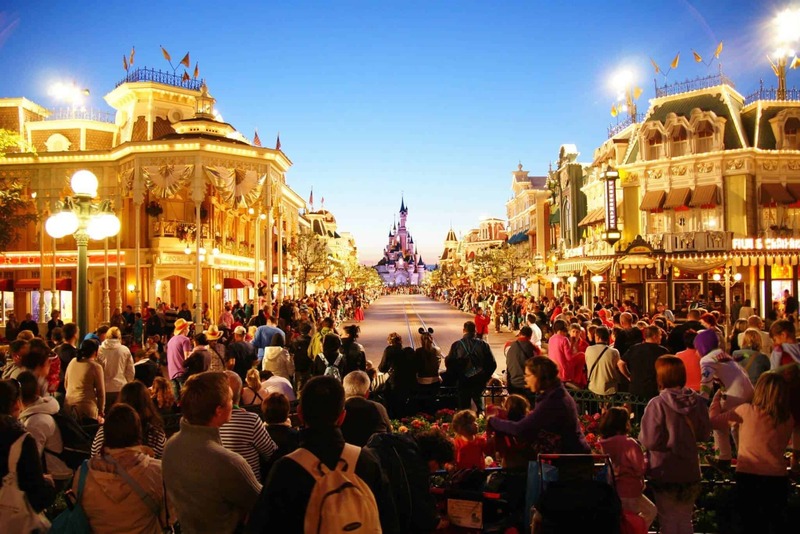 Apart from amusement parks like the Astérix Park or Disneyland Paris, there are many other kid friendly parks in Paris, many of them way cheaper than these or even free. Located close to Montmartre this park is one of the oldest and biggest green spaces in Paris. Kids will love to roll down the multiple hills of this park and they’ll also appreciate the caves, waterfalls, a suspended bridge, and an artificial lake. Adults will also enjoy the great view of the city you can get from there. The entry is free and there are also areas where you can get something to eat. Probably our favorite. This park is not only beautiful but it combines landscaped spaces, cultural programmes and… a theme park! It was created in 1860 and there are many different activities everyone will enjoy: touring aboard a little train, pony rides, puppet shows, and riding boats. The park also has 8 restaurants to choose from and you can check some kid-friendly activities here. The entrance will be free until April 30th of 2018. Inspired by the Boboli Gardens in Florence these were created in 1612. There are many activities for children like rides and slides but there are also activities for adults like playing chess, tennis, and bridge or remote control boats. Inside the park, you can find the Théâtre des Marionnettes du Jardin du Luxembourg (a puppet theater) which is one of our favorite activities for kids in Paris. This is a promenade created along the left bank of the Seine river (it’s between Pont de l’Alma and the Musée d’Orsay). The promenade has many kid-friendly activities like floating gardens, playgrounds, sports facilities and hopscotch courts. A fun fact: if the water of the river rises too high everything in the park can be dismantled and moved within 24 hours. Legend says that Charles Perrault, author of fairy tales like Sleeping Beauty, convinced Louis XIV to open this garden to the public. This garden has a great playground area, a boating pond, and a carousel. If you go there in the summer you’ll find a fun fair. Be sure to get an ice cream from Angelina, where you can also have a tea. This place seems to have been created with families in mind. There are plenty of spaces to have fun or just relax. The Bois de Vincennes has a mini golf, slides, ping-pong tables and a lake where you can go for a boat ride. It also houses an arboretum, ornithological reserves, and a zoo. Read more about everything this park has to offer here. 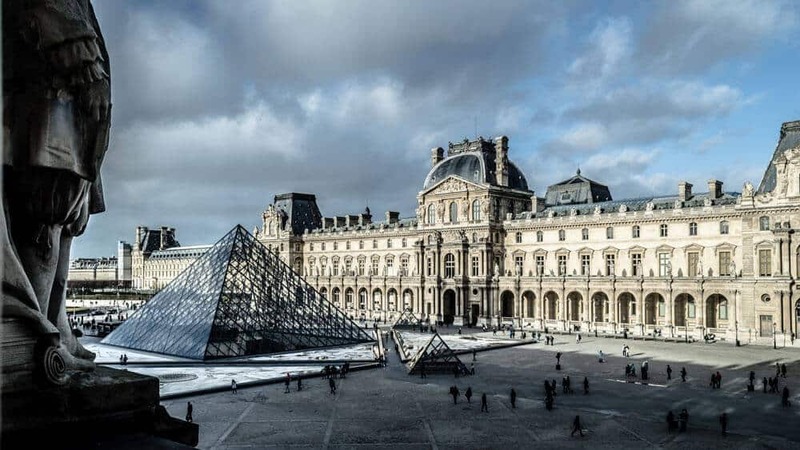 The Louvre is a must-see for art buffs but there are a lot of other museums you can also visit with children in Paris. You’ll learn a lot going to this museum. This museum is all about science presented in interactive experiments. You can learn about astronomy (there’s a Planetarium), biology, acoustics, chemistry, genetics, physics, math, and earth sciences. Be sure to check their agenda before going so you know which workshops are available (only in French). If your children are into magic this stop is a must. This museum showcases everything related to the art of magic, tricks, and illusions. Not only is this museum full of magic artifacts like wands and secret boxes, it also provides a great way to understand the history of magicians. You can also visit the Musée des Automates that’s near it. Learn all about the choco-story of the world. This museum is as fun as it sounds. There are special tours and activities for kids so you won’t have to worry about them getting bored. You can also try many chocolates (who wouldn’t want to?) and even go to workshops so you can make your own. All in all, one of the most kid-friendly activities in Paris. The first museum of the world dedicated to the contemporary art of entertainment. Kids will love it because it houses exhibitions on cartoons, cinema, manga, video games and animation from all over the world. Check here its previous exhibitions so you can get an idea of what can you see here. Inside of this museum is the Cité des Enfants that’s specially made for children (buy tickets online here). This will also be enjoyed by adults and it’s a place for experimentation and exploration… all while having fun! 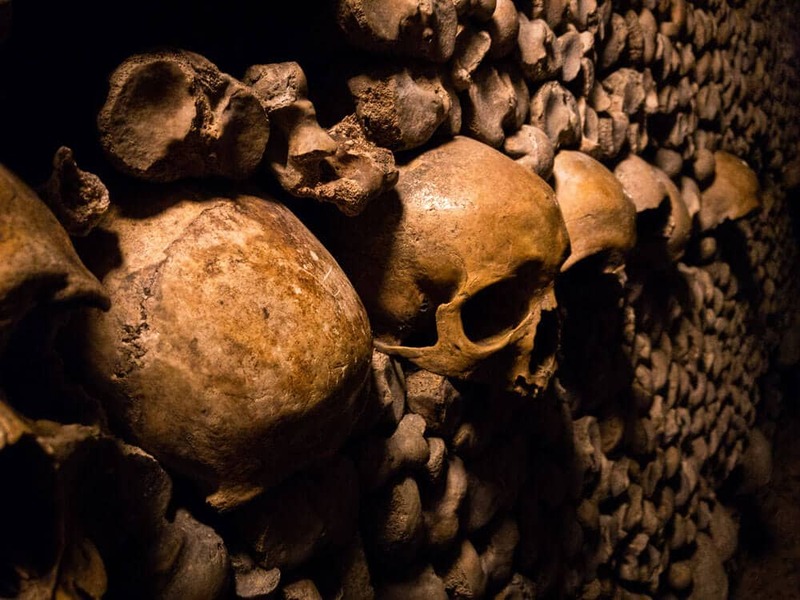 Visiting the Catacombs in Paris will be an experience your children will always remember! Definitely for older children as it can be a bit creepy for the younger ones. This unusual popular tour is home of around six million bones and it covers 11 thousand square meters of underground space in Paris. This will be a tale your children will tell to all of their friends. Buy your tickets online on the official website. Kid-friendly activities in Paris wouldn’t be complete without a proper zoo. This zoo is one of the oldest in the world and it is home of bears, big cats, reptiles and even red pandas. You can also visit the vivariums where you can see animals in danger of extinction or that no longer exist in the wild. Don’t forget to visit the Natural History Museum that’s inside. All the activities in this aquarium are super kid-friendly. It’s close to the Eiffel Tower so you can visit after that. There are more than 10,000 fish, 32 sharks and even a pool where kids can touch different species. If you eat in the restaurant of the place you can also enjoy the view of different fish since it has its own aquarium. Be prepared to meet a mermaid and a triton during your visit. Not in Paris but really close to Versailles so you can take a detour while visiting there. Your children will feel like giants walking among the miniatures of the most important icons in France like the Eiffel Tower, St. Tropez, Mont St. Michel and the Basilica of Lourdes. There’s also a play area especially made for children where they can slide down a six-track toboggan. What do you think? Would your children enjoy these places? Let us know in the comments!